The greatest power we learn in training in the bujinkan is to develop the power of our imagination. This is the kaitatsu explained in a previous article. 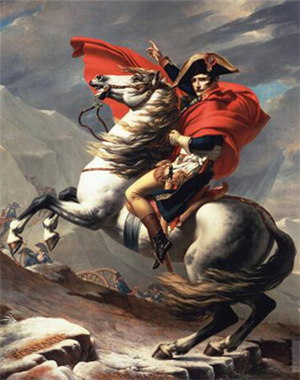 Napoléon said that: “Imagination rules the world” and if it was true for him it is definitely true for us too. The bujinkan seen as an educative system is helping us to get rid of our preconceived ideas and to find new ones. Often when I meet a bujinkan student in a seminar I am amazed that first he (or she) never heard about the Ten chi Jin Ryaku no Maki created by Hatsumi sensei and second that his (or her) vision of the art has nothing to do with the reality of training in Japan. This is never the fault of the student nor of his teacher but of the teacher of his teacher who often joined the bujinkan after many years of gendai budô. These first teachers never ever reconsidered their previous knowledge to adapt it to the new set of rules. This lack of foundation explains the poor level of imagination in the bujinkan. The bujinkan will transform you if you train the basics properly. Through these foundations, you will develop the power of your imagination and become an artist able to rule the world. Previous Post YSTT: Register Fast!